Divers as well as snorkelers never seem to be able to stop talking about the beauty of Curaçao's underwater world. 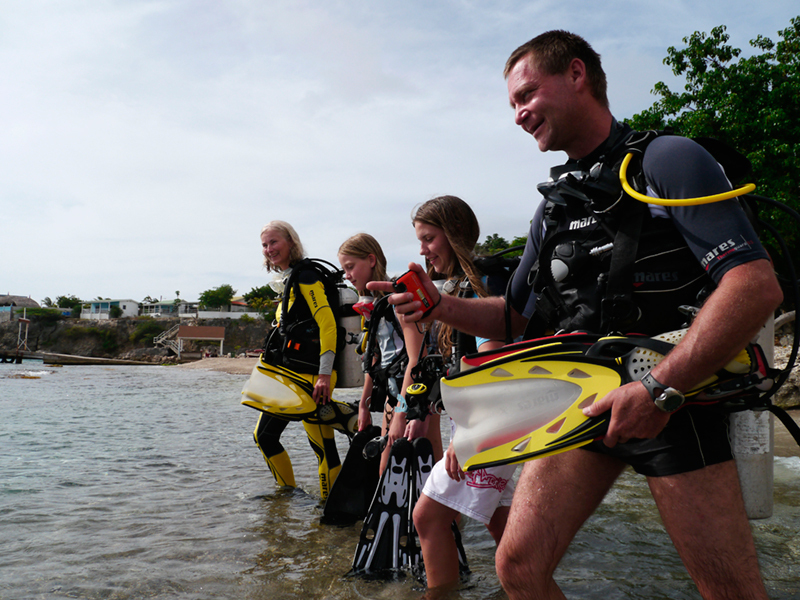 Just the fact that Curacao offers about 40 different dive areas which cover about 70 dive spots makes us think that there is no place in the world offering such great shore and boat dives and of course also snorkeling. Curacao was chosen as a top 3 location for 'Best Snorkeling', 'Best Shore Diving' and 'Best Macro Marine Life' by the readers of Scuba Diving Magazine in their annual Reader's Choice Awards. The Mushroom Forest made the Top 100 List as one of the best dive sites. The west is a perfect spot for all skill and non-skilled levels... No question about because of our gentle relatively current free fringing reefs! In fact the GO WEST Diving house reef "Alice in Wonderland" is consistently voted as the top house on island!!! GO WEST Diving offers both shore diving and 2 tank am/1 tank pm boat diving daily. Generally speaking our dive shop ask for reservations to secure a spot on the boat and ask that you complete a complimentary welcome shore dive to ensure your weighting and gear is working properly. The skilled handful of instructors are able to teach from beginner to pro level, incl. lots of specialties. So pick your favorite and start your diving expierence with GO WEST Diving right here!